I just realized that I have not been sharing any recipes for quite a while now. Been busy, peeps. Had less time to cook decent meals for myself and CheeseBoy. Moreover, I normally had Iftar at my parents and when I cooked for my family over the weekend, I had to rush everything so didn’t have the time to take pictures of the meals. Last week, after consuming way too much ketupat, rendang, kuah kacang (and rendang again), I decided to cook a simple home cook meal for CheeseBoy and I. Just couldn’t wait to have my belacan again. So here is the recipe for you to try out! – Heat the vegetable oil and add on the sliced lemon grass and fry few minutes. Add the spice paste and cook until its fragrant. – Add the marinated chicken and fry until it is cooked thoroughly. Season with salt, sugar and lime juice. Remove from heat and toss in the mint leaves. Garnish with mint leaves and lime wedges. Serve immediately. Oh, since I had extra mint leaves, I decided to make a special drink for CheeseBoy. He loved it! 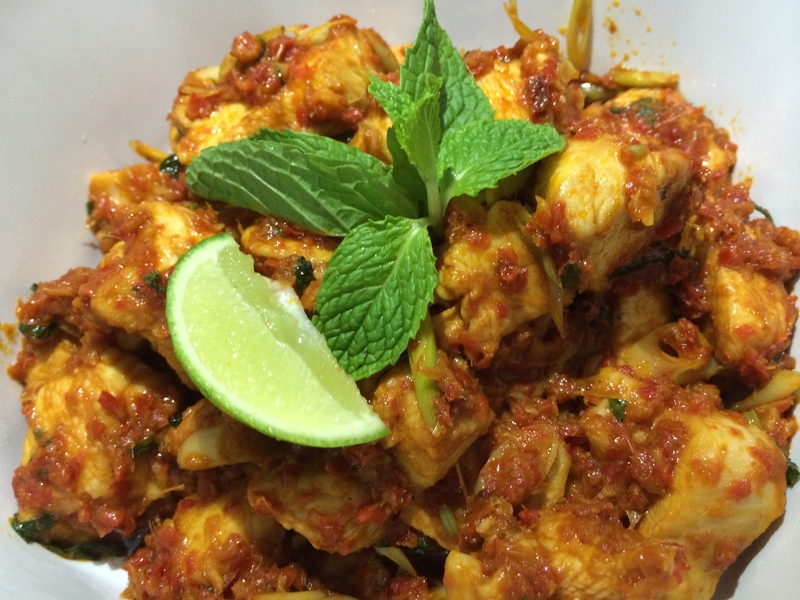 Credit: The recipe is from The Best of Chef Wan – A Taste of Malaysia. Can I use fish sauce instead of oyster sauce? Please suggest..